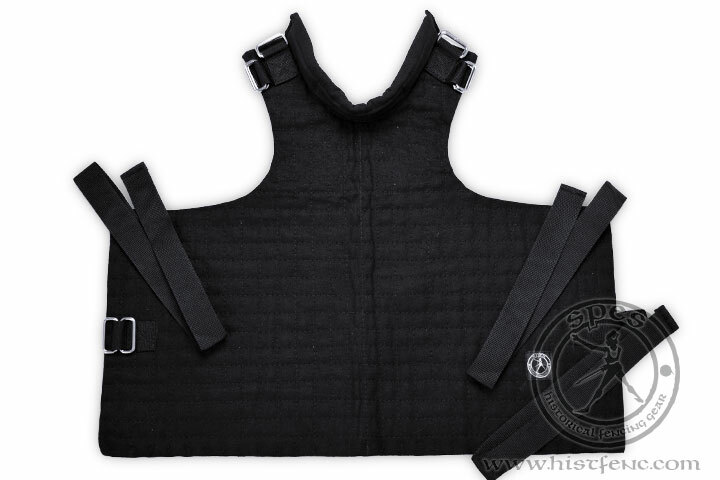 The "VG" Body Protector has been designed to give added protection to the torso from heavy strikes and thrusts. It can be used by itself, or over a jacket to help prevent internal injury. 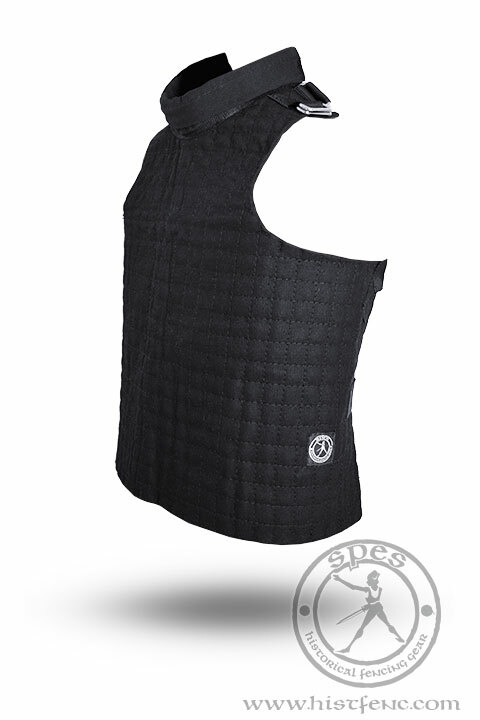 The Body Protector is made of six thickly woven, quilted layers of fabric. The collar has a turned out edge to protect the neck from thrusts. 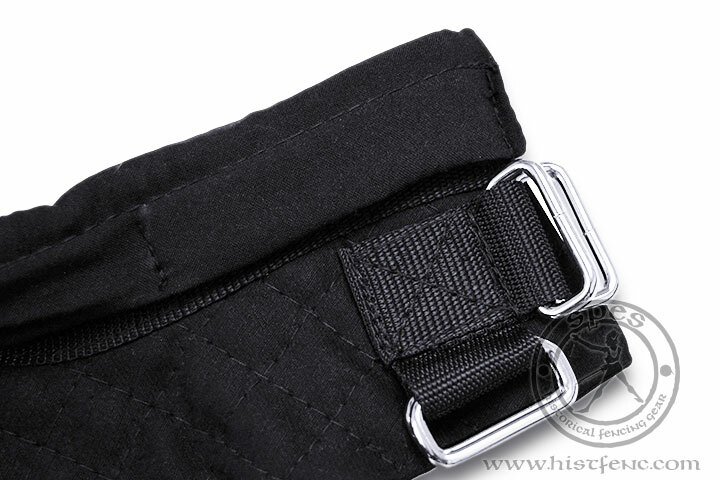 There are three straps with which to fasten it in the back. 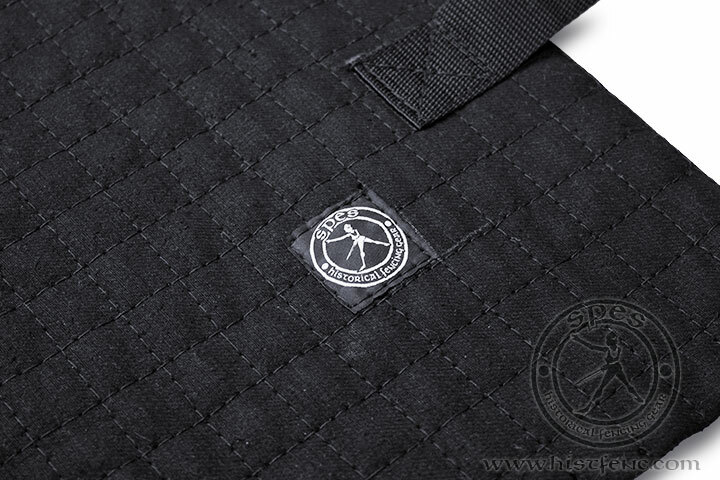 The Padded Skirt gives added protection to the top of the legs supplementing that given by our Jackets.